Fitness Goals - What is your workout & exercise goal? Fitness Goals: What Is Your Workout And Exercise Goal? When you decide to create the most effective workout routine possible to reach your specific fitness goal, there is an important question you need to ask yourself first. That question is… just what the hell is your specific fitness goal? Any combination of the items on this list. And those are just the broad answers. Some people may have much more specific fitness goals in mind. For example, build X pounds of muscle, lose X of fat, get a 6 pack, deadlift 400lbs, fit into a certain piece of clothing, and so on and so on and so on. Whatever your workout/exercise related goal may be, and no matter how broad or specific it may be, the first key step in creating the workout routine that will work best for you is figuring out what your overall fitness goal is right now. So, what is your current fitness goal? Based on your answer, certain aspects of your workout routine will need to be set up a certain way to best accommodate that goal. The people in this group have the primary goal of improving the way their body looks. Granted, there are various differences between the goals I just described, and there are some adjustments that should be made to your workout routine depending on EXACTLY which goal is yours (don’t worry, I’m going to explain all of them). 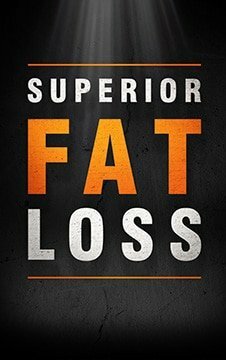 But, in the most basic sense, anyone whose primary goal is to somehow improve the way their body looks falls into this same top level category. The people in this group have the primary goal of improving the way their body performs. Granted, there are again various differences between the goals I just described, and there are some adjustments that should be made to your workout routine depending on EXACTLY what your goal is. 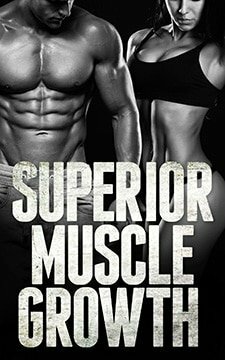 But, in the most basic sense, anyone whose primary goal is to somehow improve the way their body performs falls into this same top level category. So, did you figure out which group your fitness goal fits into best? Good. Now is a good time to mention that there is a lot of overlap between the groups. Meaning, training for performance will ultimately lead to more muscle and/or less fat in most cases. And, training for looks will ultimately lead to increased strength and/or improved performance in most cases. However, it will NOT be in a way that is most optimal for those goals. It would be more of a side effect. That’s why the objective here is to set up a workout routine that is as optimal as possible for your primary fitness goal. That needs to be the sole focus even though it may lead to various secondary goals being reached as well. Meaning, if your goal is “looks” related, you want to only do the things that will maximize those results. If your goal is “performance” related, you want to only do the things that will maximize those results. As obvious as that seems, there are plenty of idiots out there on the internet trying to tell you that people on Team Looks should be doing things that work best for Team Performance, and vice-versa. Why? Because they’re either really ignorant, just trying to sell you something, or plain old stupid. We will avoid that here. Now that you have your exact fitness goal in mind, you’re ready to start putting together a workout routine that is aimed at reaching your goal as quickly and effectively as possible. Do You Need A Beginner, Intermediate or Advanced Workout Routine?